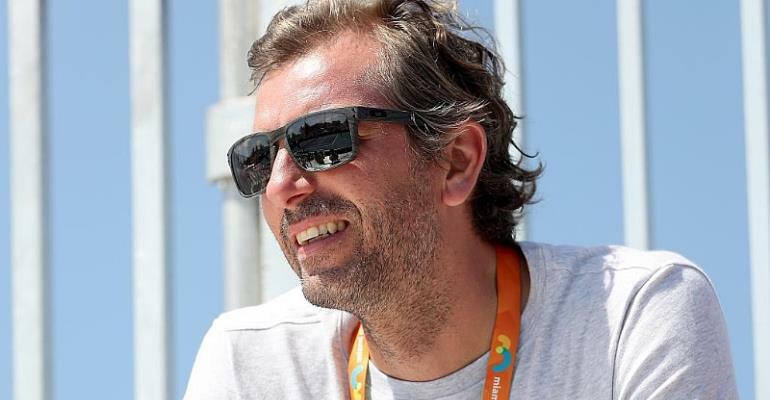 France's Fed Cup team skipper Julien Benneteau has conceded his side will be the underdogs when they take on Romania in the semi-final in Rouen. Romania will go to the clash on a clay court in the northern French town with the world number two Simona Halep in their ranks. She won the clay court circuit's biggest prize last year at the French Open. Mihaela Buzanerscu, the world number 31 and Irina-Camelia Begu, ranked 82, are likely to be her teammates. "She's a real leader," said Benneteau of Halep. "She inspires her teammates. But it's not only her. They have a strong doubles team with a lot of options and they'll have the crowd also. We expect a lot of their supporters in Rouen." Benneteau has selected Caroline Garcia, Alizé Cornet, Kristina Mladenovic and Pauline Parmentier – the country's four top female tennis players – for a French side looking for its first title in the competition since 2003. Fiona Ferro will be on standby in case of an injury in the squad. "It's going to be a difficult tie, we know that," added Benneteau." We will be the underdogs but I hope that my team will be able to compete."